Linda Cohen, author of 1,000 Mitzvahs, spoke at King David High School’s Teaching for Tomorrow earlier this month. Imagine channeling your grief at the loss of a loved one into something exceptionally positive and using that something to honor their memory. 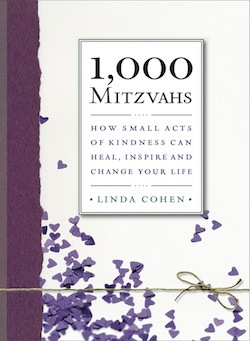 Linda Cohen’s blog became the book 1,000 Mitzvahs. The blog evolved into a book, 1,000 Mitzvahs, published in 2011 by Seal Press. The book contains stories about those mitzvot, why they matter and what readers might glean from each one. Each mitzvah is described in a page or two with another paragraph on why it is important and what readers might do to implement something similar in their own lives. 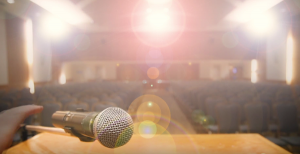 Last week, Cohen flew into Vancouver as the guest speaker at King David High School’s Teaching for Tomorrow annual lecture program and fundraiser, to discuss her mitzvah project. The Teaching for Tomorrow event supports the school’s chesed programming. Next Next post: Unilateralism in store for Israel?